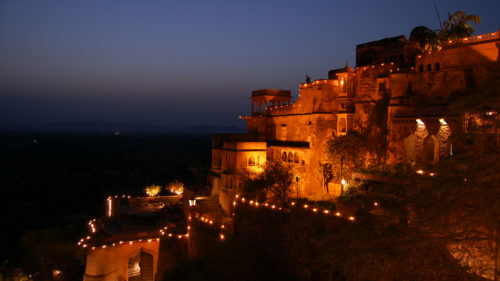 Situated on a plateau, just 2 hours from Delhi and en route to Jaipur or Shekhavati, this glorious building is part fort, part palace and sprawls over 10 levels, clinging to the hillside. The suites comprise a mixture of traditional Indian and colonial furniture, together with numerous antiques. 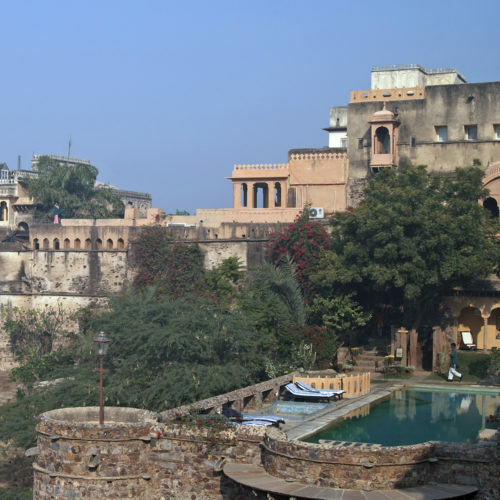 The recently added area comprises a stunning rooftop swimming pool, an amphitheatre where music and dance performances are held and a small Ayurvedic spa with 2 treatment rooms.